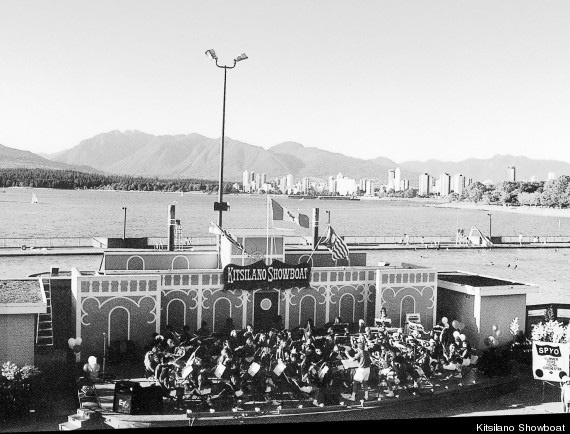 In 1935, the Kitsilano Showboat was founded by Bert Emery. That same year the new Kitsilano Chamber of Commerce organized its first evening of events which included swimming, diving, acrobatics and other entertainment. As the Showboat began during the depression, performers also benefitted as they were not able to secure jobs during those hard times. Made up completely from volunteers, the Showboat has provided free entertainment for almost 70 years. On the 80th Anniversary of the Kitsilano Showboat, it is the perfect time to honour The Captain, Beatrice Leinbach. Bea was a very proud Kitsilano, Vancouver and B.C. Citizen. She was the force behind many community groups that have made this province one of the best places to live in Canada. 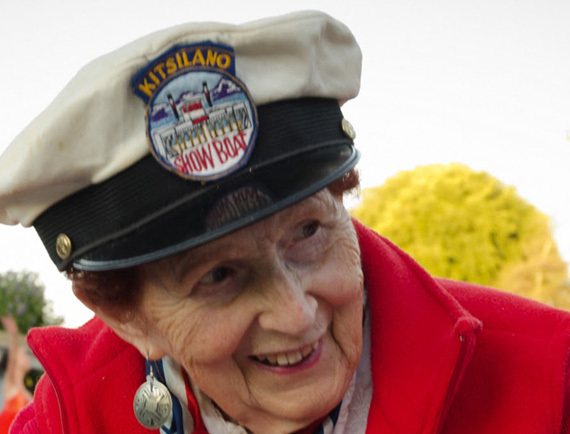 Captain Bea’s belief in amateur entertainment and a venue for them to showcase their talents made her the driving force behind Kitsilano Showboat for over 60 years. Leinbach was one of the founders of Meals on Wheels and volunteered on many committees that benefit seniors and women issues. She also contributed on committees that benefit the community. These included the Vancouver Sea Festival, the Vancouver Children’s Hospital Society, the BC Centennial Committee, the BC Special Olympics and the Vancouver Multicultural Society to name just a few of her accomplishments. Her dedication to the community and a country she loved was recognized nationally in 1998 when the Order of Canada was awarded. She was also inducted into the B.C. Entertainment Hall of Fame. Bea Leinbach was a proud and tireless promoter of her community and the arts. 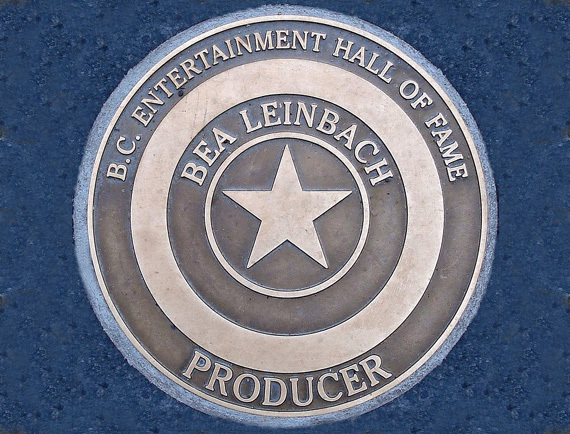 Bea died at age 93 on October 3, 2014. She will truly be missed by us all. 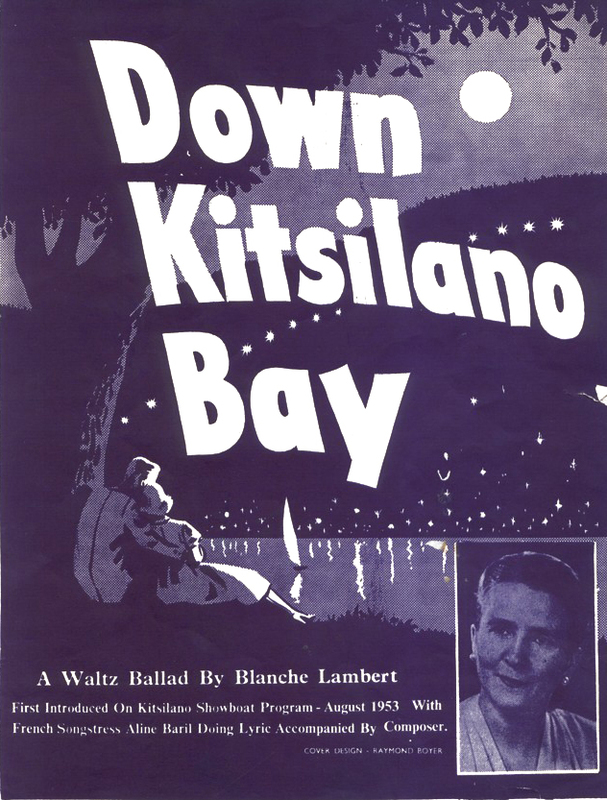 First introduced on the Kitsilano Showboat Program in August 1953. With French songstress Aline Baril doing lyrics accompanied by composer. Cover design by Raymond Boyer.